These were found under rocks by the coast. There was scores of them, but as soon as I lifted a rock, they would all jump high into the air and disappear back under another rock. Getting a photo was well neigh impossible – so I was particularly pleased to get these ones in the end. Bristletails are wingless insects with three slender ‘tails’, with the middle one being noticeably longer than the other two. This one is brownish, has long antennae and a ‘humped’ thorax. 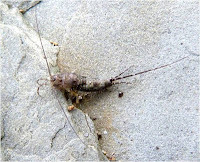 This bristletail also does not like being exposed to the light and can jump up to 10cm in the air. 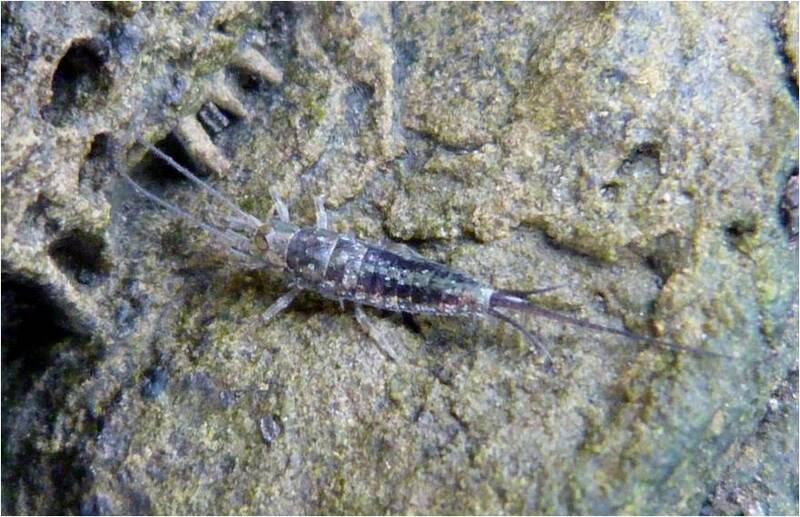 Whilst the similar silverfish and firebrats have no or small compound eyes, these bristletails have two large eyes. The grey and pinkish mottled colouring acts as a good camouflage against these rocks. They are nocturnal insects which will feed on lichen, algae and moss at night. 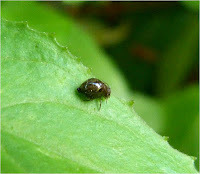 Tiny - only a few millimetres in length, almost spherical, very shiny dark brown, bristly and without wings. They have a tail like structure at the end of their abdomens which can be used to catapult them into the air if attacked. It seems that this is a ‘hexapod’ meaning it’s six footed and insects are a subset of hexapods. However, there seems to be some debate as to whether springtails are ‘insects’ or not and I can’t find anything definitive on the matter. Any help on this would be much appreciated. 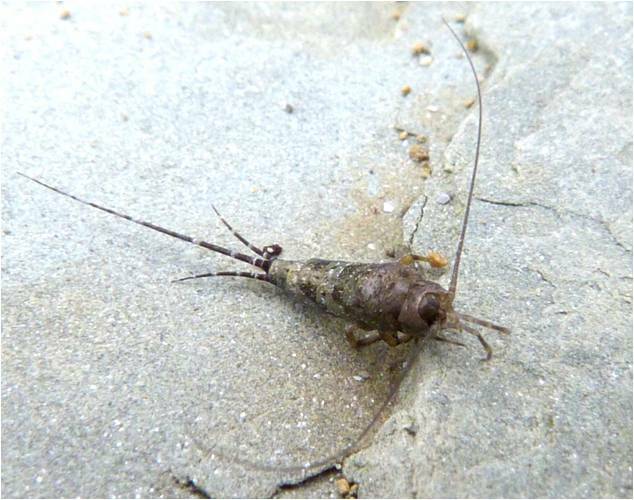 As outlined above, it seems that springtails may no longer be considered as 'insects' but may be classified as hexapods instead. However, it seems a shame not to include these for identification purposes. I have to be honest, when I found this I thought it must be some sort of nymph, but I was kindly corrected on this by www.ispot.org.uk which helped me out with the identification of this and clarified that this is in fact an adult springtail and not a nymph at all. Will I ever get the hang of this...? 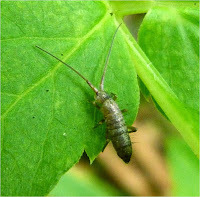 Anyway, it was less than 1cm long (without its antennae - which as you can see are extremely long) and was a silver-grey colour which shimmered in the sun. Although you can't see it here, it apparently has a unique ability in being able to coil its antennae.